I have been out of the weight lifting game for sometime now. Been recovering from surgery and now looking to bulk up for the summer. When i last left the forum ARA(x-gels) were the best natty bulking supplement. 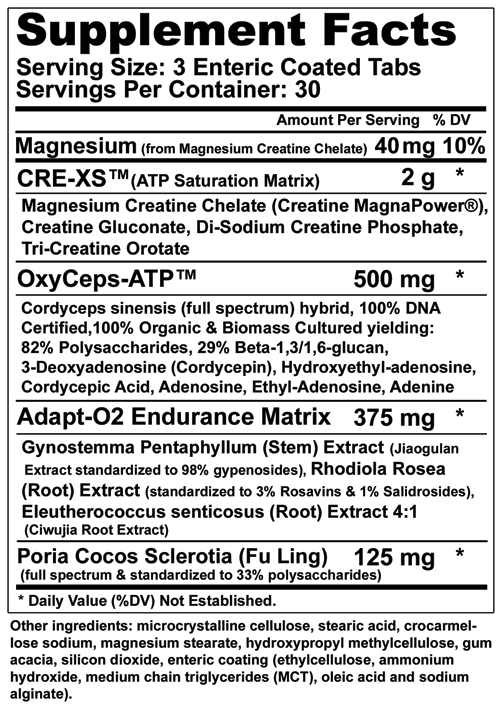 Have any new supplements came to the market lately that provide good results? I still swear by X-gels and believe they are one of the best natty supps out there. Agreed. Can't go wrong with x gels when it comes to natty products! Another great one for putting on my lean mass is massmax xt..
X-gels are still one of the best natty supps out there for sure. Very underrated. Also, Cre02 is a good choice to stack with. Decent profile and it's been a fan favorite for over 10 years. @MySTeek AMJAN50 code still valid? ArA, the best backed up natty supplement. But you better prepare you joints. You will feel dry and creaky. Can’t remember exact weight but 1g of it a day between 180-190(weight I seem to comfortably sit at) made it hard to run. Never try them but with my good experience with edycsterone and laxogenin lately I think that Massacre form OL or massxt from Perfomax labs and Kre-Anabolyn must be quite good. ARA is also excellent. why doesn't your code work? Yep you'll definitely want to pick up some joint support xt to run along side it to help with achy joints. Sorry, guys! This code is from January and is no longer valid. I'll remove from my signature. My apologies for the confusion. would a test booster do anything foe since i am younger? Nope it won’t do anything, I’m 25 and test boosters hurt my libido. I wouldn’t waste money on anything being toyed as boosting test, in the first place, they don’t. If you're younger it most likely won't do much since your natural test production is already at it's limits..
I’m going with either creatine or digestive enzymes. Creatine, true and tried, 5g a day of monohydrate. Just works. I say digestive enzymes because anabolism requires food! The more food you intake and your body assimilates the more you body will have to use for building muscle. Food is always the chief anabolic. No supplement can ever substitute diet, but enzymes can help break down your food, decrease info the time between meals and maximizing the food your already taking in. If your looking for something more a lot of guys like ARA(mentioned above, but I personally have never cared for), laxogenin and -Epi. If you are looking for one of those type of products any of the above are worth a shot, some respond some don’t. Chaos and pain ha legendary which is both laxogenin and -Epi with absorption enhancers, which could be a nice addition. I'm on massmax now and have put on really solid gains. Ferodrox is one worth mentioning. 400 mg x 90 Capsules* this a legit brand? What’s your suggestion on dosage of digestive enzymes? Anything about that brand but highly recommend SNS XGels. So maybe it’s changed but just a heads up if you aren’t buying from SNS you should really do your homework. Being 100% ArA isn’t really a thing, last I’d seen most material was sold in 10% and 40% standardizations (I could be wrong but a long time ago I remember MN or SNS stating higher may be available but was more cost prohibitive?). I’d be wary of companies who don’t list the total content and then what it is standardized to (like how SNS is 625mg 40% standardized to 250mg per cap). Especially if it is powder I’d be willing to bet it’s just 10% ArA. Again I haven’t used ArA in years so haven’t looked into it and it could have changed but this stuff isn’t cheap so I’d be more willing to spend and trust I’m getting exactly what I want. Yep looked online, the powder forms seem to be sold as food additives and usually around 10% purity. Powder is a no go. MASSACR3 vs Vector - Which is the BEST natty anabolic?